Your paid ad campaigns might not always meet your expectations–frustrating. The thing is, anyone can run a paid campaign but not everyone takes time to dig into the fundamentals that are going to drive their campaigns success. Until this done, it will be notably difficult to actualize desired results. Typically paid ads are resulting in a 2-3% click-through rate– a great value. However, after applying our methodology with our clients we’ve able to reach as high as 6% click-through; also, we have found that every $1 we have spent on ads has yielded them a $6 return. Highlight the benefits. Not the features. For example, if you’re a computer company your product might have 1 terabyte of memory (its feature) but to convey this value to your audience you might say, “Enough memory for your whole family, forever.” This is the life changing benefit the consumer will most likely engage with and connect with. However, make sure you only make promises you can keep. Tell me more. Encourage an action. Speak directly to your consumer as if they were right in front of you. Use “you language” and be concise in your communication. Remember, simplicity is often most effective. Be sure to have a clear call to action and directions that explicitly state what you want someone to do after viewing this ad. For example, you might say “click the link to read more.” Be sure to have the correct link attached you want people to click on or you risk lost opportunity. How can you make your ads more personable? Be sure to upload your email list to Facebook and leverage Facebook’s custom audiences tools. Segment your audience into various demographic and psychographic categories and create lookalike audiences based on customer segments that have performed well. Each of your customer segments need a personalized message so it’s crucial that this is taken into account. Use video. CMO.com, the well-respected marketing company designed to help CMO’s and senior marketers, says, “Consumers are 27 times more likely to click through online video ads than standard banners.” Follow the 3-second rule. According to Invespo, digital marketing optimization experts, “users who are retargeted are 3 times more likely to click on your ad.” The biggest thing to avoid here is coming across as spam; avoid unnecessary impressions. Be sure to remarket only to those who have not already converted. Skipping over this puts you at risk of earning the reputation of a nuisance. Make sure that your retargeting campaigns convey enough value to convince users to follow a call to action. You may have to change your marketing message to connect with these users better. Split test; Create three variations of a single ad, changing only one variable. For example, you may have three identical ads, but each have a different headlines. Run each of these ads towards an equal sample size of your audience, at the same time. Ensure all variables are constant aside from the variable being tested and see how the variable being tested positively or negatively affects your KPI’s. Once this information is gathered use the variable that performed best and then split test another variable, like a button color, until the ad is optimized. Then, launch this ad at your audience on a large scale. Remember, precise small scale wins lead to significant large scale wins. I had the chance to bring more insight to creating effective paid advertisement campaigns. Click here to watch me speak a little further about the value of paid ads. Have your paid ad campaigns been falling short of expectations? Anybody can run a paid ad campaign but until the science behind this tool is realized and executed it can be notably difficult to actualize your desired results. Typically these ads are resulting in a 2-3% click-through rate which is a great value for a business. However, after applying our methodology with clients we’ve able to reach as high as 6% click-through; also, we have found that every $1 we have spent on ads has yielded them a $6 return. 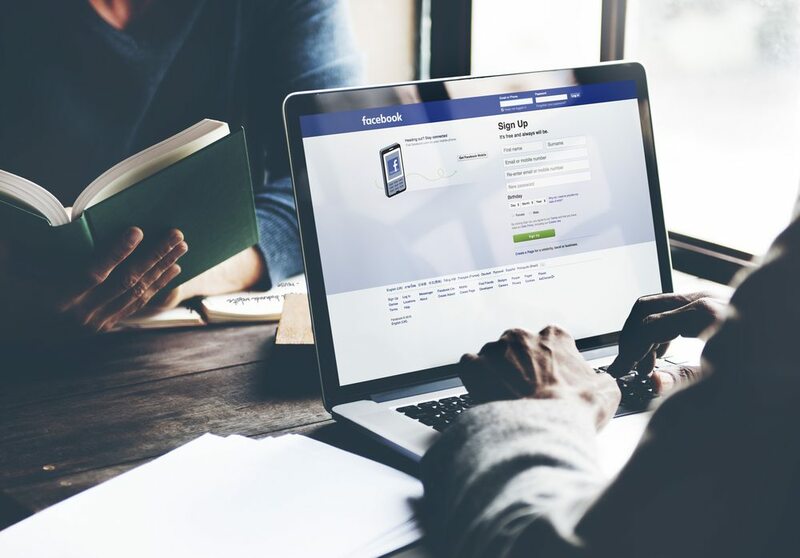 Below, we’ve come up with 5 ways to substantially improve your Facebook paid ad campaigns. The goal is to create an emotional connection with your consumer, not to read off the features of your product. “Enough memory for your whole family, forever.” This is the life changing benefit the consumer will most likely engage with and connect with. However, make sure you only make promises you can keep. Your brand will be severely damaged if you overpromise and underdeliver. Another effective way to go about marketing the benefits of your company is to highlight the “why” behind your product and convey that to your consumer. A great example lies with Apple, they choose to heavily market their “why” of “challenging the status quo” instead of their generic “what” of making iphones and other products. Speak directly to your consumer as if they were right in front of you. Use “you language” and be concise in your communication. Remember, simplicity is often most effective. Be sure to have a clear call to action and directions that explicitly state what you want someone to do after viewing this ad. For example, you might say “click the link to read more.” Be sure to have the correct link attached you want people to click on or you risk lost opportunity. Hack: How can you make your ads more personable? Be sure to upload your email list to Facebook and leverage Facebook’s custom audiences tools. Segment your audience into various demographic and psychographic categories and create lookalike audiences based on customer segments that have performed well. Each of your customer segments need a personalized message so it’s crucial that this is taken into account. Focus on production quality and make sure that video is consistent in the excitement and value it delivers. After the first 3 seconds of your video ad people either continue to watch or immediately move past. Follow this rule throughout the video; there should be a reason to keep watching every three seconds. The biggest thing to avoid here is coming across as spam; avoid unnecessary impressions. Be sure to remarket only to those who have not already converted. Skipping over this puts you at risk of earning the reputation of a nuisance. Make sure that your retargeting campaigns convey enough value to convince users to follow a call to action. You may have to change your marketing message to connect with these users better. Create three variations of a single ad, changing only one variable. For example, you may have three identical ads, but each have a different headlines. Run each of these ads towards an equal sample size of your audience, at the same time. Ensure all variables are constant aside from the variable being tested and see how the variable being tested positively or negatively affects your KPI’s. Once this information is gathered use the variable that performed best and then split test another variable, like a button color, until the ad is optimized. Then, launch this ad at your audience on a large scale. Remember, precise small scale wins lead to significant large scale wins. Next, apply these concepts and watch your ROI on your Facebook advertisements increase exponentially. I had the chance to bring a little more color to this topic. Click here to watch me speak a little further about the value of paid ads.